It’s the end of an era. Matt Harvey, the former super-ace and Gotham fireballer, was released by the Mets on Friday after refusing a minor league assignment. His tantalizing four-pitch mix and overpowering fastball once inspired comparisons to the best pitchers in history. In 2013, Sports Illustrated described him as “a near exact duplication of Clemens in his prime,” and his “Dark Knight” nickname was only a slight exaggeration. Yet Harvey has struggled to live up to the hype over the last few years. He underwent two major surgeries, elbow reconstruction and thoracic outlet decompression, and emerged with a dramatically inferior fastball. The final straw came on Thursday afternoon. After Jason Vargas coughed up 11 hits, two walks and six runs, Harvey entered the game in relief. He missed the opportunity to show up Vargas, his replacement in the rotation, and instead allowed five runs in two innings. He was released the next day. Earlier this week, the Mets lost three at home to the Braves. Atlanta’s top pitching prospect, Mike Soroka, pitched six strong innings in his major league debut, while Thor had a tough first inning against Albies and Acuna. The next game added insult to injury. Embattled young lefty Sean Newcomb shut down the Mets over seven frames, and the Braves edged into first place in the NL East. 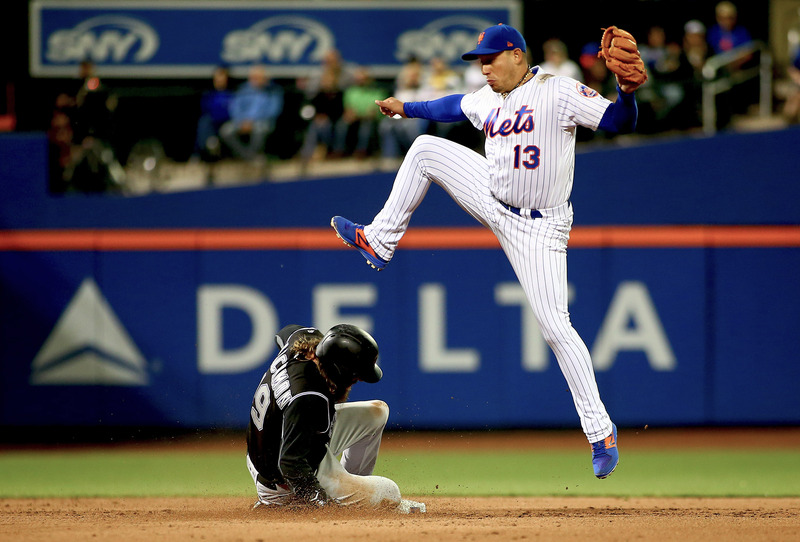 The Mets ended the week by dropping three to the Rockies. They have a six-game losing streak, and their Amazin’ 11-1 start has been thoroughly negated. The Mets signed former Phillies infielder Cody Asche to a minor league deal. After playing in the Phillies organization from 2011 to 2016, Asche spent 2017 with the White Sox. His career slashline is 234/.293/.379 with an 82 wRC+, and most defensive softwares give him negative ratings. Asche will probably play third base and left field in Triple-A Las Vegas. “[Steven Matz] can be an elite left-handed pitcher if he has the right mentality,” Mickey Callaway said before Saturday’s game. He was vindicated by Matz’s finest performance of the season. The young lefty surrendered one run over six innings against the Rockies. Brandon Nimmo did a Q&A with the New York Post on Saturday. “When I get on base I’m excited, I’m glad and that smile just pops through,” he said. “I think that’s what people resonate with it when they see me smile and just having fun, to be able to kind of go back to their days when they were in Little League or whatever. I try and keep that same approach out here.” He also discussed his emotional call-up and his love of Harry Potter. P.J. Conlon will start in deGrom’s place on Monday. Conlon was the 13th overall pick in the 2015 draft, and he’ll be the first Irish-born major leaguer in more than 70 years. Reliever Anthony Swarzak, who has been on the disabled list since April 2 with a strained left oblique, threw without pain on Saturday. He will now fly to Port St. Lucie to “play catch more and more and get closer to games.” The 32 year old was signed to a $14 million deal last December and was intended to be a key bullpen arm. Mets catcher Kevin Plawecki, who broke his left hand, is expected to return soon. He’s struggled to regain his grip strength since his April 11 injury. “There’s still pain in the hand,” said Sandy Alderson last week, adding that Plawecki will return “very rapidly” once the pain diminishes.